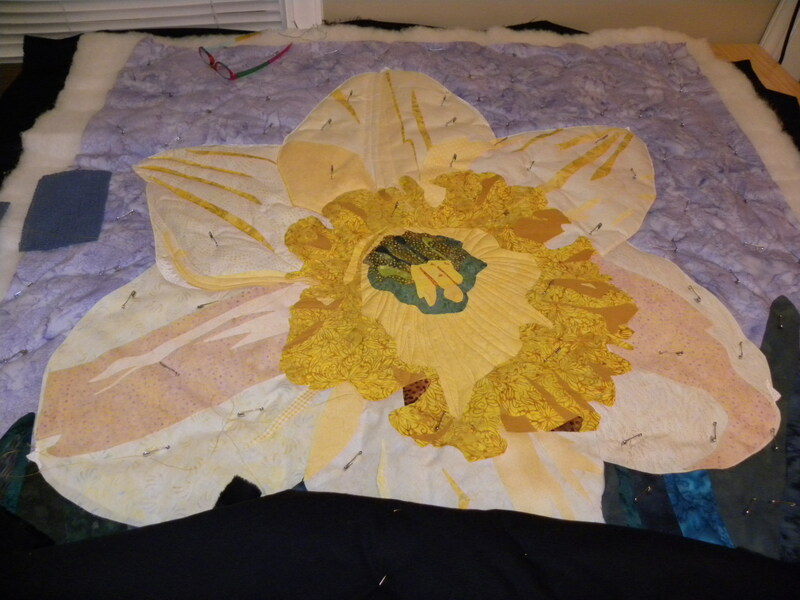 I finished fusing this daffodil project last week. It’s been hanging on my design wall for months. I did well at the Cabarrus Quilt Show and thought it’s really time to start. I began in the center as I usually do. I did a bit of work on the center area and then I did this…. How the heck I did this I’ll never know. 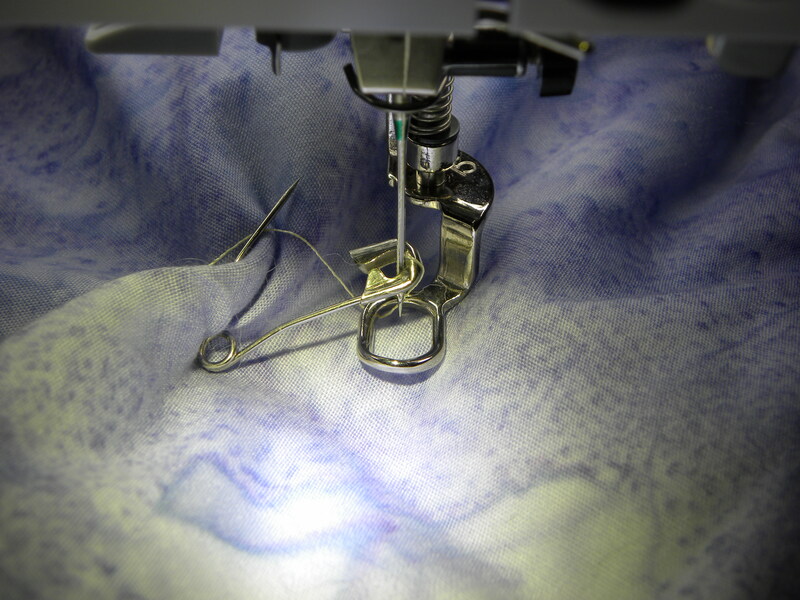 Honestly, I really dislike starting the free motion quilting on a project this size. It’s so tough. The quilt is really thick and fluffy with the wool batting, it’s pretty large-44×60 and VERY cumbersome. It will flatten out very soon and get a lot easier to manage. I just have to keep plugging away.